Situated in Carreno, this hotel is within 1 mi (2 km) of Punta Socampu, Punta'l Castiellu, and Punta Palos. Punta San Antoniu is 1.2 mi (2 km) away. Situated in Carreno, this hotel is within 2 mi (3 km) of Punta Socampu, Punta Palos, and Punta San Antoniu. Punta'l Castiellu is 1.4 mi (2.2 km) away. Where to find Carreno hotels near an airport? 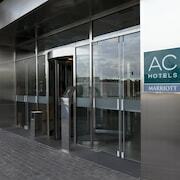 Where can I find hotels in Carreno that are near tourist attractions? 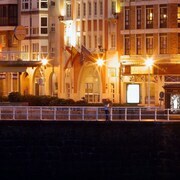 Making a trip to Gijon - Asturias Coast? Are you looking to reserve a hotel close to the main part of Carreno? About 6 Expedia-listed accommodations lie within a 0.1-kilometre (0.06-mile) radius of the center of Carreno. There are a range of hotels within a 5-kilometre (3-mile) radius of Carreno's heart, including the Piedra and El Carmen. 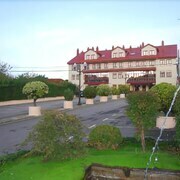 The Gran Hotel Las Caldas can be found 25 kilometres (17 miles) from the center of Carreno. 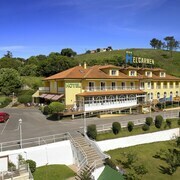 Another alternative is the Eurostars Hotel De La Reconquista, which can be found 20 kilometres (14 miles) away. Some other options here are the BAL Hotel Spa and the Abba Playa Gijon 4s. Looking for more to do? Why not spend some time exploring Plaza Mayor and San Lorenzo Beach, in Gijon, 10 kilometres (6 miles) to the east of Carreno. 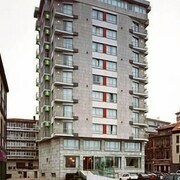 Expedia-listed Gijon hotels are the Hotel Don Manuel and Alcif. 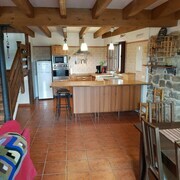 Or, you could stay in Luarca, 60 kilometres (38 miles) to the west of Carreno, where you can pick from the Hotel Villa de Luarca and Casa Pacho Apartamentos Rurales. The Senora la Blanca Chapel and Laurca Marina are just some of the more popular attractions to explore when you're in Luarca. If you are really into sports and really like games you could head to El Molinon, which is 12 kilometres (7 miles) to the east of Carreno. Those sports fans wanting to find accommodation close to the action can select from the Hotel Hernán Cortés or the Parador De Gijon. Situated 20 kilometres (12 miles) away from Carreno is Asturias Airport. Stay nearby at Palacio de La Magdalena Hotel or Hotel Marqués de la Moral. What are the most popular Carreno hotels? Are there hotels in other cities near Carreno? 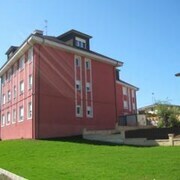 What other types of accommodations are available in Carreno? Explore Carreno with Expedia.ca’s Travel Guides to find the best flights, cars, holiday packages and more!